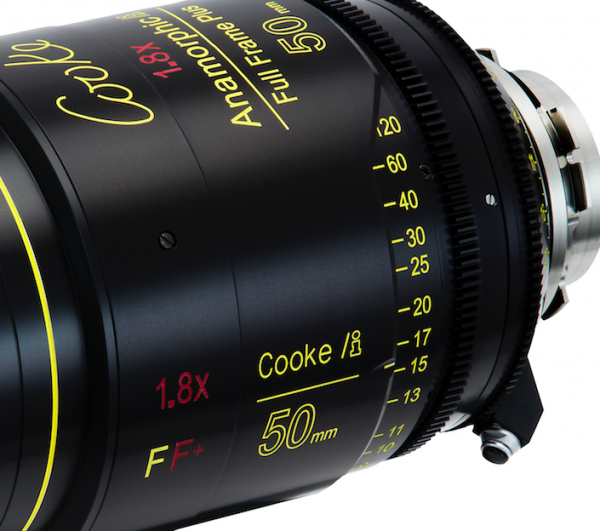 Cooke has announced a new range of Anamorphic/i Full Frame Plus lenses. The range will include a 32mm, 40mm, 50mm, 75mm, 100mm, 135mm and 180mm, all of which are T2.3. The 50mm will be the first lens released, the rest of the focal lengths will be rolled out over the next 12 months. 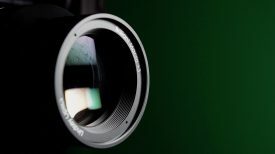 DPs have always liked shooting with anamorphic lenses, and over recent years their popularity has started to increase. 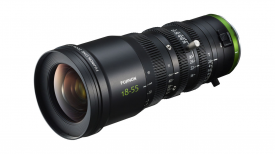 It was only natural that we would start to see full frame coverage anamorphic lenses coming to market to meet the ever increasing demand for shooting with full-frame digital cinema cameras. 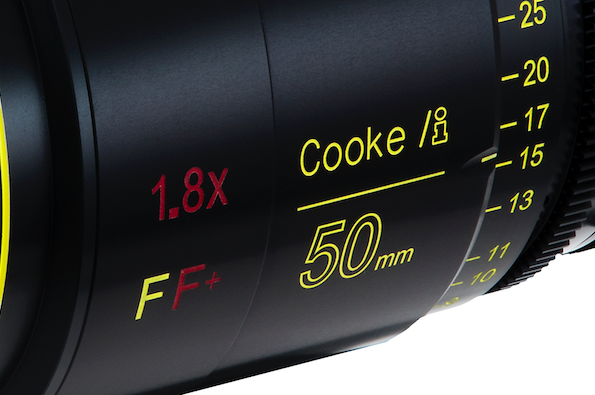 It will be interesting to see if Cooke eventually releases full frame anamorphic zooms. The image circle of the Anamorphic/i Full Frame Plus lenses will cover a full 24 x 36 still size sensor (image diagonal of 43.27 mm), with a 1.8x squeeze. A 1.8x squeeze is not that common, with most anamorphic lenses tending to be 2x. So why 1.8x? According to Cooke, they believe the 1.8x squeeze of the Anamorphic/i Full Frame Plus range gives the best results for full frame anamorphic shooting. 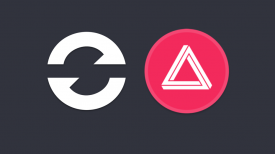 At 2x you would lose too many pixels, and at 1.6x (the correct ratio to use every pixel) you will not get enough of the anamorphic character. Cooke’s solution of going with a 1.8x squeeze gives the image a greater anamorphic feel at the aspect ratio of 2.40:1 whilst capturing 90% of the pixels, therefore keeping this format well within industry resolution standards. Because the Anamorphic/i Full Frame Plus lenses are designed to cover the full still frame of 24 x 36, you can elect to use 100% of the pixels which will result in an aspect ratio of 2.70:1. What cameras actually support 1.8x anamorphic lenses? The ARRI ALEXA LF already supports 1.8x de-squeeze and Sony have already said that the VENICE will support the 1.8x de-squeeze in the Version 3.o firmware update. The Kinefinity MAVO LF supports 1.75x, but I am fairly sure a 1.8X de-squeeeze could be added. The lenses all have industry standard front diameters of 110 mm and they will be a similar size to the Cooke S7/i Full Frame Plus lenses. Like all Cooke lenses, the Anamorphic/i Full Frame Plus range will include /i Technology that collects detailed lens data for VFX and post-production teams. 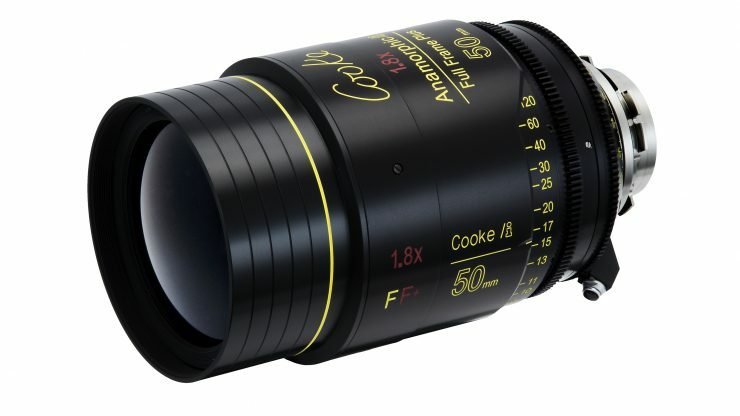 The new Cooke 1.8x Anamorphic/i Full Frame lenses are claimed to have the familiar, and classic “Cooke look” of their smaller super35 cousins. These new lenses should produce nice horizontal streaks and a pleasing bokeh.